I did still use my cheat’s way of making the cupcakes themselves. My thought is why bother risking making a cake batter from scratch when I know this method using a store-bought mix will turn out perfectly moist every time? Of course if you don’t like chocolate cupcakes then you can mix and match the frosting with a different flavour of cake. 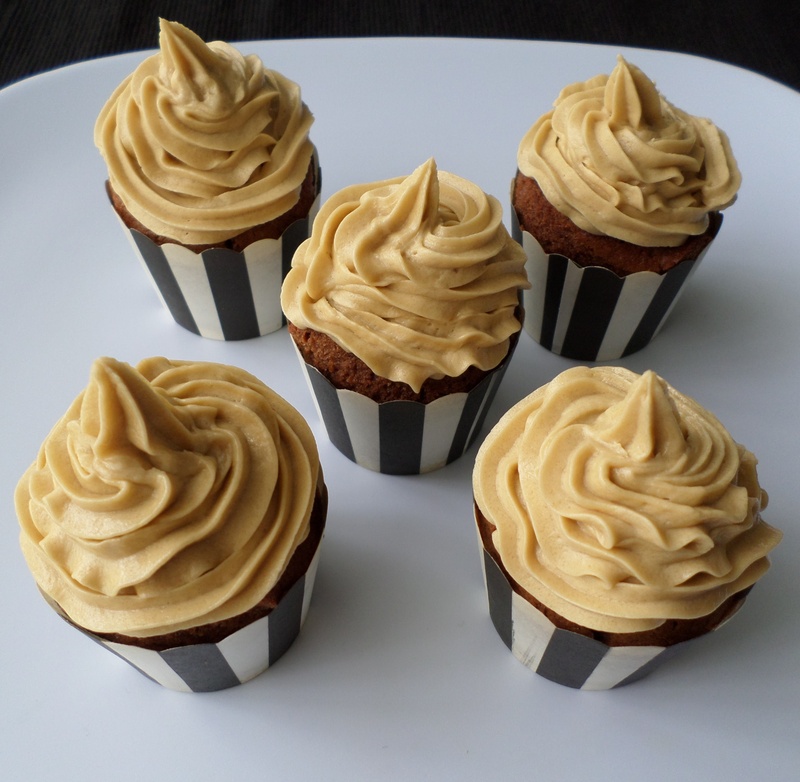 The recipe for the frosting is adapted from one I found on SBS Food. Line 12 holes of a muffin pan with cupcake papers. Put the milk, oil, sour cream and egg into a jug and whisk to combine. Place the cake mix into a medium bowl. Add the liquid from the jug and then mix with a fork until smooth. Carefully divide the batter between the cupcake papers in the pan. Bake for approximately 15 minutes – the time taken will depend on the depth of the cupcake papers that you are using. They are cooked when a skewer inserted into one of the centre cakes comes out clean. Remove from the oven and leave in the pan for 5 minutes. Transfer to a wire rack to cool completely. To make the frosting, put the butter, golden syrup, sugar and salt into a bowl and use an electric mixer to beat until pale and fluffy. Gradually fold in the icing sugar until you have a smooth frosting. Once the cupcakes have cooled, pipe or spread the frosting over the top of each cupcake. This entry was posted in Baking and tagged Baking, Cake, Celebration, Chocolate, Cupcakes, Food, Party Food, Recipe, Recipes. Bookmark the permalink. 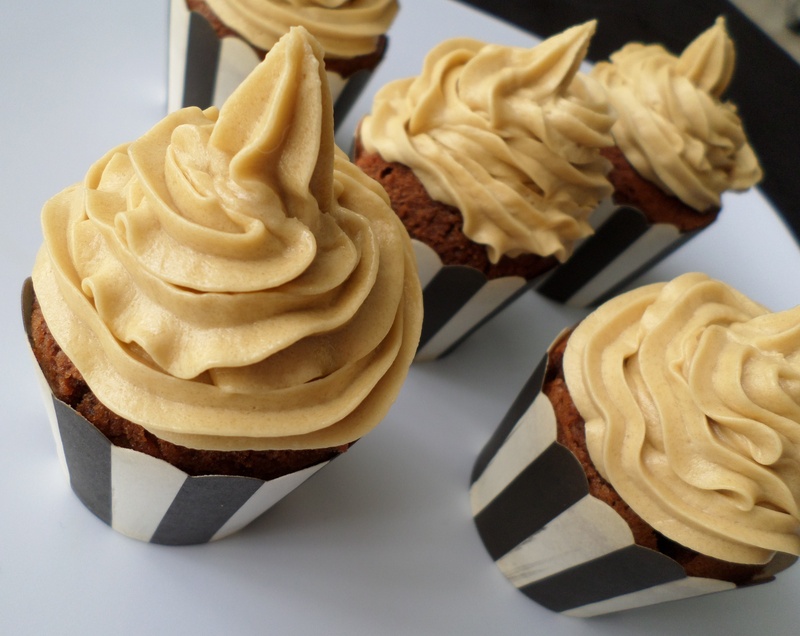 That salted caramel frosting is a winner..